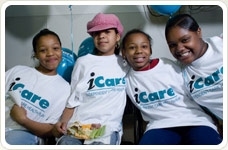 The mission of iCare is to improve the quality of life for individuals with unique and complex medical, behavioral, and human service needs while providing value to our customers and stakeholders, and respecting the dignity of those we serve. Welcome to iCare-2b.org, a social media network for finding employment & other community resources in Wisconsin. As a recipient of a federal Medicaid Infrastructure Grant through Pathways, a State of Wisconsin program to promote employment opportunities for persons with disabilities, Independent Care Health Plan (iCare) has developed some online resources to serve the Milwaukee community to promote awareness, provide access to helpful job resource information, encourage collaboration and help support iCare members reach their goals and outcomes after Division of Vocational Rehabilitation (DVR) funding has ended. iCare-2b.org is an online resource community portal for people with disabilities entering the workforce. Designed with the intent of helping people with disabilities to find employment opportunities from the partnerships that iCare has established, this web portal will also serve as a useful resource for families, caregivers, employers, teachers, advocate agencies, and iCare partners. Through iCare-2b.org you can receive employment related information and access to various social media tools such as YouTube, Twitter, Blog, Facebook etc. Pages on this website include Job Search boards, discussion forums, ‘Ask the Expert’ pages, Chat Room, Resource Library, and Help. This website is not intended for the dissemination of health care information.